India and Russia have failed to make progress on one of their most prestigious defense deals—the co-development and production of the Sukhoi/HAL Fifth Generation Fighter Aircraft (FGFA), known in India as the Perspective Multi-role Fighter (PMF). The most recent stumbling block to a successful continuation of the project has been Russia’s unwillingness to share sensitive aircraft technology with India. New Delhi is demanding a full-scale transfer of technology in order to boost India’s domestic fighter-manufacturing capabilities. Russia and India have a 650 page detailed plan that specifies exactly what all will be shared. India has not signed it. 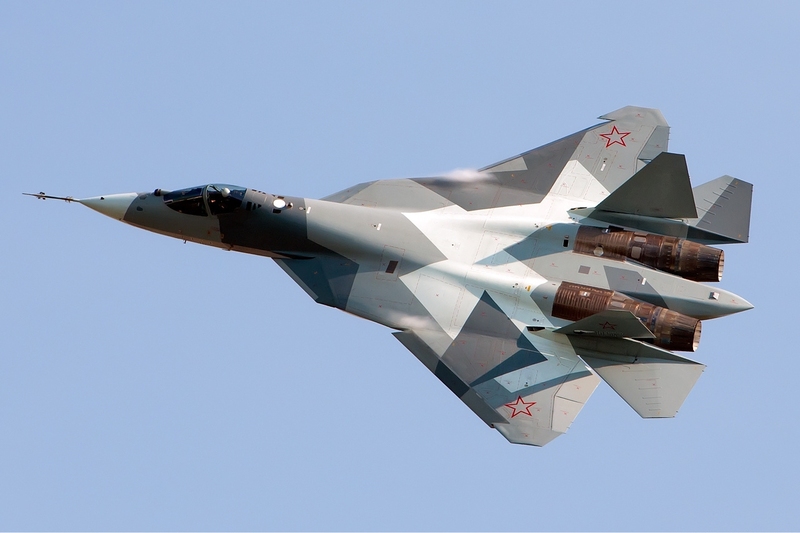 The Russian version of the new fifth generation fighter jet appears to be doing better. According to Russia’s Deputy Defense Minister Yuri Borisov, the Russian Air Force could start receiving the first serial-produced T-50 (PAK FA) multi-role fighter jet already in 2018. However, Russian defense officials admit that Russia has so far failed to develop a new engine, called Product 30, for the aircraft, which could potentially push back the induction date.